Wang Xiaoshuai is one of the prominent figures, together with Zhang Yuan, Jia Zhangke, Zhang Ming, and others, of what is now widely referred to as China’s “Sixth Generation” or “Urban Generation” directors. The “Sixth Generation” label is somewhat problematic. To start with, it includes the idea of linear progress of Chinese cinema embedded in the advancement from fifth to six generation. In this view, “Fifth Generation” cinema has more of an epic nature and is grounded in a historical-political setting dominated by the countryside, while “Six Generation” movies are dominated by urban realism. However, this classification should be questioned. The new films made by “Fifth Generation” directors show that while some can still be connected to motifs which appeared in earlier movies, many others can no longer be classified using the old categories since they contain elements, ideas and methods that are only partially (or not all) connected to the main elements of their earlier movies. Nor can they be classified as “Sixth Generation”, as their subject matter and its presentation is fundamentally different. Secondly, some directors (like Ning Ying or Huo Jianqi for example) who chronologically should be part of the “Fifth Generation” are thought of as part of the “Sixth Generation”, and vice versa, due to the subject matter of their movies. Furthermore, whereas “Fifth Generation” directors shared the same schooling and cooperated on various projects, the younger directors emerged from different schools, working more individually on their projects and do not necessarily see themselves as part of a coherent group. The “Urban Generation” label might be considered as a somewhat better definition, but has also its shortcomings, as some of the movies (or parts of them) take place in non-urban surroundings. Still, the difficulty in finding a comprehensive definition should not blind us to certain features in Wang’s, as well as other young directors’, films, that place their oeuvre in a common framework. Wang Xiaoshuai, like many others of the “Urban Generation” of directors, is in his thirties and so did not have to face the full brunt of the Cultural Revolution, but grew up and began to create during the years of China’s bustling economic reforms. Being relatively free of the burdens of the Communist Revolution and the Cultural Revolution, he and his confreres don’t feel obliged to probe into the past, but instead focus their gaze on the present and the future of China and Chinese society. Their films look at a changing, contemporary China, using a more realistic, almost documentary, style, airing problems, characters and attitudes that before were barely present, at least not explicitly. Their stories are less epical, and they make less use of historical allegories, as they are more concerned with the “here and now”. Their visual style is also very different from the artistic symbolism so often used by renowned Chinese directors (such as Zhang Yimou and Chen Kaige), as their movies, also due to budget constraints, are less colourful, and are shot on location, sometimes using non-professional actors, with a strong influence from MTV and television advertisements. Wang was born in Shanghai in 1966, but when only a few months old, in the upheaval of the Cultural Revolution, his parents left Shanghai for Guiyang, the capital of Guizhou province (his mother’s factory was relocated there, while his father was a director in the local opera troupe). He lived in Guiyang for 13 years, and then in 1979 his family moved to Wuhan in Hubei province. Wang lived in Wuhan for two years, leaving for Beijing in 1981, where he entered the Central Art Academy Middle School, as a gifted painter. Upon graduation, Wang decided to relinquish his painting career and enrolled in the Beijing Film Academy in the Department of Directing. After graduating in 1988 he was sent to Fujian Film Studios, where he worked as an assistant for two years. In 1990 he returned to Beijing, penniless, and without a position in the state film apparatus, but determined to create “something of his own” (1). 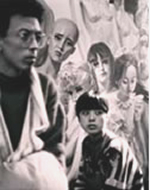 His first feature was The Days (1993), depicting the last days of a deteriorating relationship between two artists in Beijing. The movie was made on a shoestring budget of less than US$10,000, and was shot during weekends with Wang’s friends playing the leading roles. 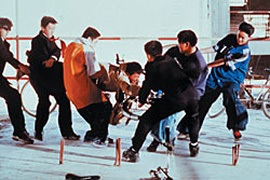 Next came Frozen (1995), a look at the Beijing avant-garde art world, where a young artist organises a set of performances culminating in his own suicide as the final act. Frozen is based on a similar performance staged in Beijing, and was released to international festivals under the pseudonym Wu Ming (Anonymous), because at the time Wang was working on his third feature, So Close to Paradise, which for the first time in Wang’s career was produced through the state film studio system. So Close to Paradise tells the story of two rural migrants, a naive young boy and a small-time con man, trying to make ends meet living in the city of Wuhan, and falling in love with a female bar singer they abducted. Although the film was initially approved by the censorship, it still had to go through three years of editing and a title change (it was originally named “the Vietnamese Girl”) to be finally approved for a limited screening in China. Wang’s next production, Beijing Bicycle, is his most financially successful so far, produced by Taiwanese producer Peggy Chiao, as part of a six-piece project entitled “Tales of Three Cities” (Beijing, Hong Kong and Taipei). The movie focuses on two 17-year-old boys in contemporary Beijing, one a peasant migrant coming to work in the city and the other a lower-middle-class urban teenager, and their intersecting lives shown through a shining new mountain bicycle. 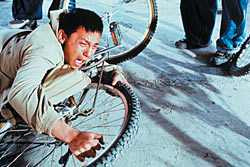 Beijing Bicycle won the Grand Jury Prize (Silver Bear Award) at the 2001 Berlin International Film Festival and its two leading male actors received Best Young Actor Prize. His next feature, The House, which has not yet been released outside of China, is a family comedy, revolving around a young yuppie couple, the husband’s ex-girlfriend and his wife’s family. Wang’s latest is Drifters, screened on the Un Certain Regard in the 2003 Cannes Film Festival, telling the story of an illegal Chinese migrant to the United States who returns to China, where he has to readjust to his family and society. Wang spent almost all his life in the city. 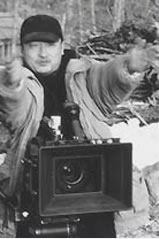 Missing the Cultural Revolution and not being “sent down” to the villages, he, like other young directors, might lack what veteran director Xie Fei calls “the knowledge of rural life” (2). But the focus of Wang, and other directors, on the city, helps them to examine the main issues and problems that Chinese society faces today, issues taking place in China’s sprawling cities. The shift from planned economy to free-market capitalist economy, the decline in the state’s ability to provide essential services it provided before, the disappearance of the “iron rice ball”, the ideological vacuum, the demise of traditional structures, and the widening gaps in society have brought to the forefront issues like migration, dislocation, crime and social alienation, issues that were relatively unknown before, and certainly not mentioned in the official discourse or in state-sponsored movies. Now, these issues form the new urban reality, and have become a major subject in Wang’s movies as well as in other “Urban” movies. Looking at Wang Xiaoshuai’s filmography in light of his biography, two main, interconnected issues come to the fore – place and motion. One of the reasons why these “Urban Generation” movies appeal to audiences in China and abroad is their realist portrayal of city life and society. To achieve this, Wang and other directors use their own life experience and their intimate knowledge of urban terrain. In his movies, Wang returns to the places he knows well, to the places where he grew up, and where his views on self and society were molded. 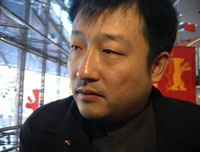 This is not unique to Wang (Jia Zhangke for example uses his hometown in Shanxi province as the setting for his film Xiao Wu), but Wang not only uses the familiar urban setting, he also inserts his own personal recollections of this setting and the people in it. The city becomes another protagonist in Wang’s films, which focus equally on people and the physical urban terrain. Wang portrays the different faces of the city – cold and brutish, fascinating and strange, indifferent or accepting, frightening and even funny sometimes, like a painter depicting different life scenes throughout a long scroll painting. His experience of the cold urban environment and the loneliness felt by many in the city seems to overflow from the screen in The Days and Frozen, his recollection of Wuhan, a true crossroads, is evident in So Close to Paradise and his nostalgic yearning for the old Beijing of his youth is apparent throughout Beijing Bicycle. One of the ways Wang foregrounds the city is by showing the physical transformation the cities undergo. This device is prominent in Beijing Bicycle, where Wang moves his characters between different parts of the quickly-changing city, between old and new, traditional and modern, as well as from the stable, ordered world of planned communism to the hustle and bustle of competitive capitalism. He intercuts Beijing’s hutong (old alleys) with new ultra-modern skyscrapers, presenting contrasts and parallels, creating, in fact, the image of a city that some critics claim does not exist (3). Wang uses this geographical, physical dichotomy to highlight some of the major questions Chinese society is dealing with – is this China’s way to modernisation? Does China’s hope for the future lie in these new modern buildings and what they represent? What values lie beyond the physical features of the modern city? And what of the past? These questions go to the heart of the ideological crisis experienced by many in Chinese society today, and are raised through Wang’s camera’s focus on physical texture. The city itself becomes not only the subject explored, as a symbol of chaotic change, it also becomes the instrument with which Wang can criticise contemporary state policies and sociological changes and highlight some of the potent social and political issues of contemporary China. Wang himself, of course, cannot escape from the pressures at work in this society, that inevitably shaped his life – and he knows it. Even as he critiques the values associated with modernisation and contrasts them with the old value system, he looks at himself and at his fellow artists, who show the same ambivalence of hope for modernisation with criticism toward the process itself and a (imagined?) nostalgic feeling for traditional values and systems. Wang’s focus on the cities does not mean disregarding the rural, though generally Wang examines not the countryside setting but the movements between countryside and city. Connecting the place (the city) and the motion, Wang is able to explore not only movement between physical locations but at the same time the changes and movements occurring within his characters’ social and personal lives. His view of the urban landscape and its people is mediated by his own memories of places and times, and his outsider status in the cities. Growing up, moving from place to place, Wang not only came in touch with a wide immigrant population, but was in fact a part of that population. Being an outsider himself, he is able to give the migrants in his films a voice and power not given to them in the official media or the mainstream discourse. Both So Close to Paradise and Beijing Bicycle deal with rural migrants who come to the big city in search of work and a better life. Like the camera’s movements in the city itself, the move from the country to the city and motion along streets and alleys, in the city and among its inhabitants, is at once a physical movement as well as an oscillation between tradition and modernity (socially, mentally and physically) that is portrayed not only in the difference between the countryside and the city, but also within the city itself. Beijing Bicycle was a commercial success and some might say that it shows a softer, more nostalgic view than the harsher, more brutal realism of So Close to Paradise. But whereas So Close to Paradise is more analytical, and portrays a more widely held view of migrants, Beijing Bicycle takes features that were not emphasised in So Close to Paradise and uses them to articulate a new position on migrants. Although usually portrayed in the Chinese media as a burden on modernised urban society or as a necessary but unpleasant side effect of economic reform, Wang’s treatment of the migrants is different. Wang’s attitude is more complex and he looks at them in a more sympathetic way. In the first place, migrants are perceived as individuals and not as a “floating mass” with no face and without any orientation and direction. In both films the migrants are people with feelings, hopes, fears and dreams, they stand in the middle of the story, not as a side-show or as permanent background. As might be expected, crime is prevalent in both films, but whereas in officially-influence discourse crime is usually associated with illegal migrant activity, both films show that in many cases the migrants are the victims not the initiators. Like crime, many other stereotypes associated with migrants (like stupidity or stubbornness) are examined, and are seen as a complex, multi-faceted issue. Where in the official media migrants are perceived, both as the necessary source of labor for the new China, and as obstacles to its achievement, but always subservient to modernised urban society, Wang sees the rural migrants as urban society’s “other”, and uses them to criticise urban society itself. The actions taken by urban dwellers toward the migrants are significant not so much to arouse pity for the migrants, but for what they show about the urban population. They are seen as arbitrary, humiliating and violent, and their behavior raises questions about the morals and values of Chinese urban society, ending with a grim outlook for the future. An interesting question that emerges from his cinema concerns the migrants’ future prospects. Will they return to the countryside, or stay in the city? At what cost? And at what social status? These questions have a wide application for Chinese society and polity, as with movements of millions of migrants to the cities, the whole structure of society might be on the brink of change. The two movies spell out different possibilities. So Close to Paradise, created within the state-owned film industry, is ambivalent: on the one hand it speaks of migrants returning to their villages, as if that is their preordained destiny, because they don’t have the skills to survive in the city or because life in the village is easier. On the other hand, Dongzi (played by Shi Yu), the naïve young immigrant, does stay in the city, although we are left to wonder about his future there. In Beijing Bicycle, Gui (Cui Lin), the rural migrant, insists on staying in the city, even if not yet formally, firmly facing an inhospitable urban society. His resolve and determination to stay in the city and his ability to do so, against all odds, prove to us that he is there to stay, thus creating a challenge both for urban society and for government policies that are only now beginning to give their attention to this issues. The migrants, as well as the other protagonists in Wang’s cinema, create a gallery of characters who are allegorical of the different components of Chinese society, and their somewhat dysfunctional nature is allegoric of current social conditions. The artists (in The Days and in Frozen), the migrants, the urban youth are all fairly alienated figures that mainstream society finds hard to accept or they themselves have difficulty in finding their place in it. This alienation is common in the movies of young directors in China, and in fact to many of the younger generation as a whole. It is customary in the West, but also in China, to trace this alienation to the events of 1989 that culminated in the repression at Tiananmen Square. But Chinese society is undergoing a deeper value crisis. China is losing many of the shared values it took for granted, and Wang’s characters question old and new values and undergo a process of atomization, evident both in growing individualism, but also in greater personal loneliness. 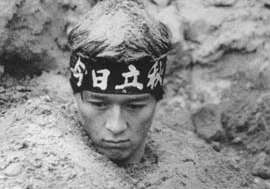 Wang clearly views his characters’ predicament as part of a more general societal change, yet they still try to survive in this increasingly alienated society, where failure, as Gao Ping (Guo Tao in So Close to Paradise) and Qi Lei (Jia Hongshen in Frozen) demonstrate, might literally mean the end. Although Wang’s movies cannot be categorised as classical journey films, the heroes all take part in a journey, within society and within the self. The protagonists’ confrontations with the changes in Chinese society result in a change of the self as well. The physical movements happen on different levels, from China to the outside world and back, from the city to the countryside and back, and within the city itself, but all these journeys illustrate a shift, articulated by James Clifford, as a shift from “roots” to “routes” (4), a change very much evident in contemporary Chinese society and culture (5). In Wang’s movies we hardly see the journey itself but its presence and its impact are everywhere. Travelling to Dong’s (Liu Xiaodong) parental home in The Days takes us not only to a different physical universe, but to a different cultural and social one, thus emphasising the huge gap between modern and traditional in contemporary Chinese society, a gap the younger generation (here Dong and Chun) are unable to bridge, not only in relation to the older generation, but also among themselves. Going through barren landscape helps emphasise the emptiness, detachment and desolation of the younger generation in China (6). The change of the seasons in Frozen, and with them the different “burials” undertaken by Qi Lei, entails a different kind of movement, a motion toward the boundaries. Qi Lei is not only exploring the boundaries of life and death, but also the changing social boundaries in modern China. Wang presents the problem of identifying the new social borders, of finding the place for the individual in the new social structure and how society deals with those individuals who no longer fit into the former social-cultural-ideological mould. As part of the big journey, Qi Lei and his friends go on a small journey to and within a mental hospital. Wang’s camera moves among the inmates, making us aware of the social changes and their effect on society. We look at the faces and think of Qi Lei and his kind, can they change to fit in into the new society? Should they? What is the alternative? Then, when Qi Lei’s longhaired friend is taken as a patient, we get part of the answer, as he first struggles against but then tries to fit into normative societal paradigms. Another part of the answer is given through Qi Lei’s actions. His conflict is implicit in his dialectical movement, feigning death when he feels he can no longer survive, his attempt to be “normal”, another pretense, in order to survive, and finally his real death, unable to accept the life forced on him. Wang remains ambiguous as to the result of the movement. We might lean toward seeing movement itself as salvation, that is, moving from a life of poverty, of minimal subsistence and desperation to the chance of a better life and even success. But Wang does not let us off so easily. He hints at the rewards available at the end of the journey (like the letters sent from the USA by Chun in The Days, stating that this is what real life should really be like), but most of the time what we see are dangers, shortcomings and the disillusionment of the travellers. Life on the move and in the “paradise” destination can be empty and violent, and even leads to death. This is true not only of those who hope to move from the traditional to the modern, but also of those who take a nostalgic look at the past. But as a traveller himself, he knows better than to lecture us against movement, and so in the final scene in Drifters, after presenting all the dangers, problems and obstacles that the migrant faces on both sides of the move, we see another load of migrants embark on the same journey. Underground or above, it all depends on the subject matter. If what I wanted to do were not allowed, then I would consider going underground. The different approaches require different frames of mind. When shooting above ground, getting approval is a constant concern, and it affects the way one thinks about a film. After a while, it turns into restriction. This is not good for a director. Shooting underground is a mode of production which gives more freedom. Independent of any established production structures, it results in more and more production units, each seeking its distribution market and each searching for its own definition. Under the present system, shooting underground allows for more versatility and independence. But as long as it is illegal, the scale of the projects will remain small and you have to work in conditions that are not natural (7). The Western view of Chinese cinema easily contrasts “propaganda” with “subversion”, categorising movies according to these standards, but reality is far more complex. Finding this golden road out of the “velvet prison” (8) has proved difficult for Wang as well as for other Chinese directors. They constantly move between the official and the “underground” modes of production, in what must be a delicate and problematic reciprocal relationship between the directors and the state. This relationship constrains not only production but also the selection and handling of subject matter. It is a relationship that enables them to make films through different channels at different times, and one that makes them constantly aware of the precariousness of their own position. Filming “underground” without a prospect for public release in China leads many Chinese critics to accuse the directors of aiming at Western taste, that is, of making movies that would be lauded on the international festival circuit but not representing “real” Chinese society or showing only its ugly sides. Wang has answered this accusation, saying that he aims to satisfy a Chinese audience and not foreign critics, but pointing out that Chinese audiences do not trust the reality of films approved by censorship precisely because they don’t reflect Chinese people’s lives (9). Indeed, the interest shown toward Wang’s movies on Chinese Internet sites is proof of the appeal these movies have for Chinese audience. As an anonymous Chinese critic wrote about Beijing Bicycle , “This film takes place in the city where I live, in the alleys where I might have wondered in, in my neighborhood, I cannot stay indifferent towards it” (10). After the war (Jeon Jang Keu I Hu) (2001) a Korean project consisting of three short films, one of them directed by Wang. “Wang Xiaoshuai” in Zhang Yingjin (ed. ), Encyclopedia of Chinese Film, London, Routledge, 1995, p. 345. IndieWIRE interview on Beijing Bicycle. Copies of Wang’s films can be purchased here. From the Asian Film Connections website; includes a short synopsis, director’s statement, crew and print information on the film. There’s also a link to Frozen. James Clifford, Travel and Translation in the Late Twentieth Century, Harvard University Press, 1997, p. 3. A notable example of this shift in the late 1980s is the change from the “Root-Searching” movement to the ideas stemming from the famous television series “River Elegy”. See for example the discussion on The Days in Sheila Cornelius and Ian Haydn Smith, New Chinese Cinema: Challenging Representations, London, Wallflower Press, 2002. P. G. Pickowicz, “Velvet Prisons and the Political Economy of Chinese Filmmaking” in Deborah S. Davis et al. (eds), Urban Spaces in Contemporary China: The Potential for Autonomy and Community in Post-Mao China, Cambridge, Cambridge University Press, 1995, pp. 193–220. Taken from article on Beijing Bicycle found at http://www.dianying.com.